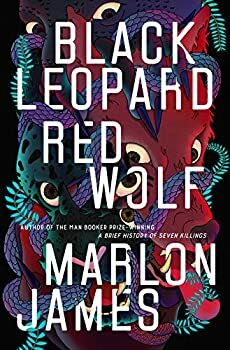 Thus opens Marlon James’ highly anticipated Black Leopard, Red Wolf (2019) in a frenetic, dizzying tale of Tracker, the hunter tasked with finding a child at the centre of this fantasy steeped in African mythology. The story opens with Tracker being interrogated by the Inquisitor in a grimy prison cell. “Truth eats lies just as the crocodile eats the moon,” he says, and it soon becomes apparent that this will not be the kind of fantasy epic fans of the genre are used to. Drawing on the oral tradition, James weaves tale upon tale, building up a highly complex narrative in which the truth is blurred in a surreal world rooted in Africa’s cultural history. Tracker is enlisted in finding the boy that disappeared under mysterious circumstances three years ago, or, at least, finding proof that the boy is dead. And what is so special about this boy? He may or may not be heir to an ancient kingdom, but it soon becomes apparent that Tracker is not the only one looking for the child. Thus, against his better nature, Tracker must work in a team, but who can be trusted and who cannot is as nebulous as the treacherous world through which they travel. It is difficult, at first, to get a sense of character, but James’ prose is complex and engaging enough to carry the novel through these opening scenes. Graphic sexuality and violence are perhaps what has earned the book its comparisons to A Game of Thrones, though it is perhaps more like American Gods in its hallucinatory nature. The narrative itself does not follow a clear-cut path. Stories are embedded within stories (another nod to the oral tradition) and the tale is far from linear, meandering from one myth to another. We are immersed in a world of vampires, witches, shapeshifters, hyenas and more, as Tracker must overcome various perilous trials and tribulations to achieve his goal. But, of course, as he himself confesses in the opening lines: the boy is dead, and things are not as clear cut as they may seem. Black Leopard, Red Wolf is stunning in its originality and world-building. There are nods to comic book heroes, origin stories, and despite its innovative feel, comparisons can be made to the classic hero’s journey of Star Wars, Harry Potter, et al. It is perhaps not everyone’s cup of tea: those looking for likeable characters or straightforward plots may find this tricky going. What’s more, there is a distinct lack of well-rounded female characters. But its gripping originality and slick prose are undeniable. This opening instalment of THE DARK STAR TRILOGY will surely garner James a loyal fanbase. Published in February 2019. The epic novel, an African Game of Thrones, from the Man Booker Prize-winning author of A Brief History of Seven Killings. In the stunning first novel in Marlon James’s Dark Star trilogy, myth, fantasy, and history come together to explore what happens when a mercenary is hired to find a missing child. Tracker is known far and wide for his skills as a hunter: “He has a nose,” people say. Engaged to track down a mysterious boy who disappeared three years earlier, Tracker breaks his own rule of always working alone when he finds himself part of a group that comes together to search for the boy. The band is a hodgepodge, full of unusual characters with secrets of their own, including a shape-shifting man-animal known as Leopard. As Tracker follows the boy’s scent–from one ancient city to another; into dense forests and across deep rivers–he and the band are set upon by creatures intent on destroying them. As he struggles to survive, Tracker starts to wonder: Who, really, is this boy? Why has he been missing for so long? Why do so many people want to keep Tracker from finding him? And perhaps the most important questions of all: Who is telling the truth, and who is lying? 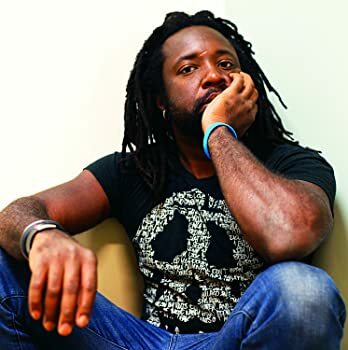 Drawing from African history and mythology and his own rich imagination, Marlon James has written a novel unlike anything that’s come before it: a saga of breathtaking adventure that’s also an ambitious, involving read. Defying categorization and full of unforgettable characters, Black Leopard, Red Wolf is both surprising and profound as it explores the fundamentals of truth, the limits of power, and our need to understand them both. I’ve heard so many good things about this book already! Looking forward to getting a chance to read it, myself. Can’t wait to hear your thoughts when you do!